Hello Summer! And hello festive season. This has got to be my favourite time of year. Work is slowly winding down for the year, I managed to score some time off over the Christmas and New Year period and everything has been peachy! It’s time to start planning Summer adventures, festive frivolity and some down time back in my sleepy home town with my family for Christmas. It’ll be so great to get out of the city for a bit and recharge. It may be a little slower on the blog post front over Summer because I feel like a little breather, but you will still find me over on Instagram and Snapchat (user name illusivefemmeem). But it’s not break time yet so I need to stay focused for a few more weeks. Since we last updated (more here) everything has been good. Work has been busy, the weekends have been busier and I’ve been out and about and around the block. Here is what I’ve been up to lately! 1. 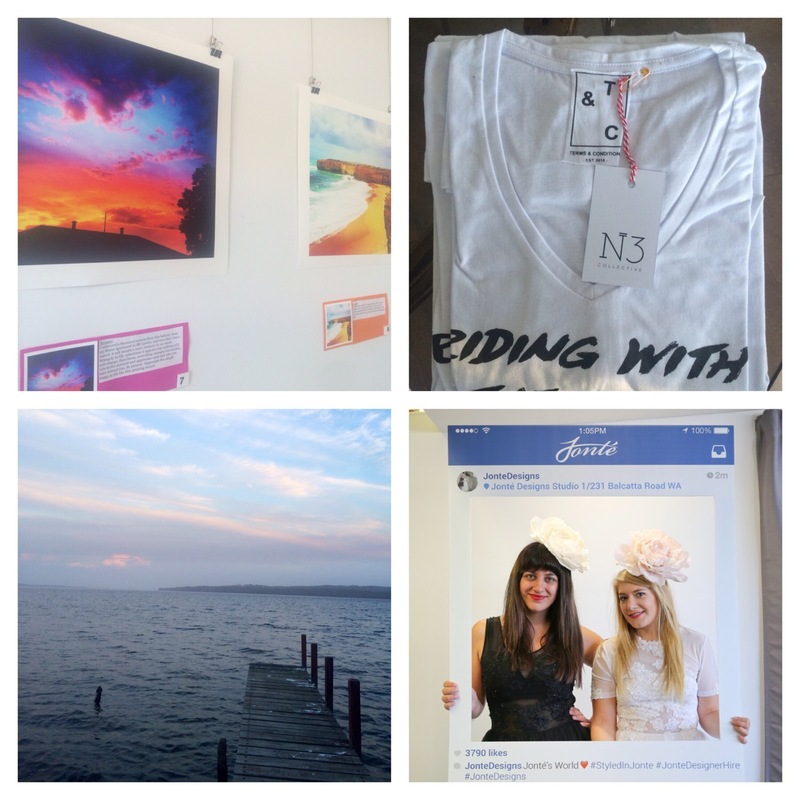 My friend and fellow blogger Anita of Live Your Truth hosted her first photography exhibition. A colourful array of sunsets and landscapes, “Transition” truly was amazing. Check out her words and pictures here. | 2. The n3 Collective launched their Perth extension of the label. We were treated to macarons and champagne to view the new collection and I may have purchased a tee or two. Check out how I styled the n3’s tee here. | 3. We took a trip to Denmark with our good friends. How beautiful is this view? You can read more about what to do in Denmark here. | 4. Designer JONTÉ hosted a Frocktober fundraiser alongside blogger and stylist The Fashionable Mum and blogger Mystery Case. The afternoon was filled with beautiful gowns, playing dress ups and catching up with friends. It was a gorgeous way to finish the Frocktober season. If you’re looking for a special occasion frock JONTÉ now has a hire service, check out her website for details. 5. Qantas held a Perth Instameet as part of their birthday celebrations. You can see my snaps from the event here, but can I just say, what a gorgeous experience! | 6. 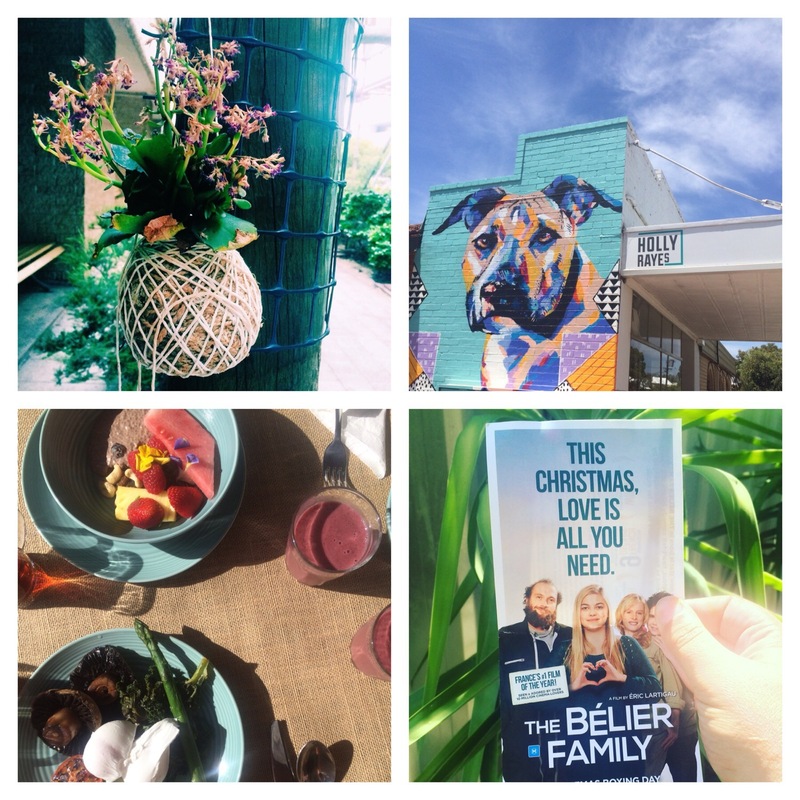 Bloggers Bloom Together hosted a coffee fuelled silent dance party at Black Matter Coffee in Osborne Park, with food by local vegan company Crunch Box. This tasty dish is the “Vegan Pulled Pork” and tasted absolutely scrumptious. If you’re in the area give them both a visit. | 7. 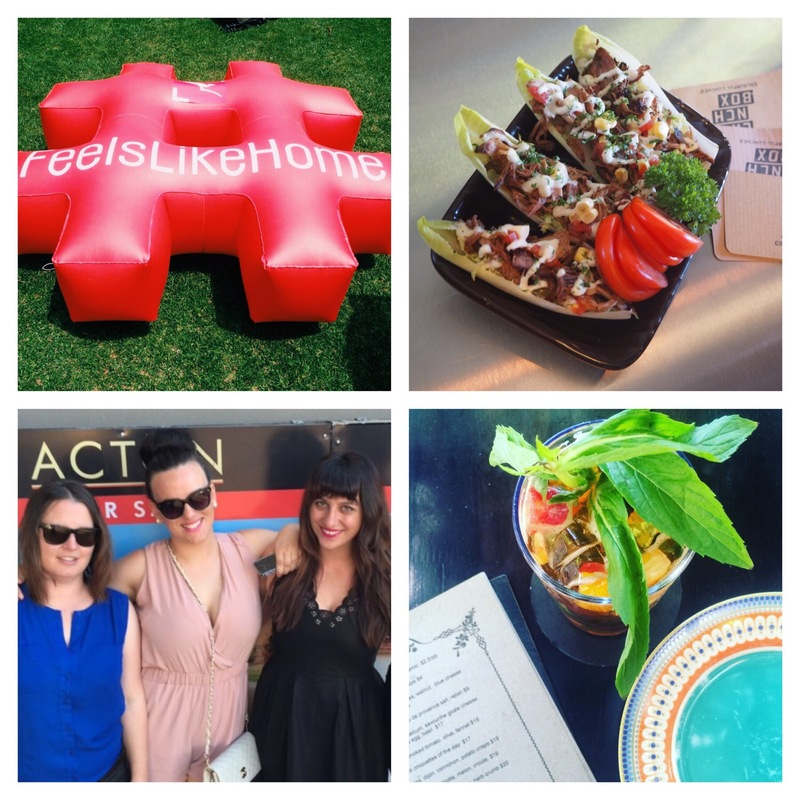 OZEating WA hosted their first sundowner to celebrate a small business award. I was kindly invited along as I contribute to the food website and the night was a total success. Didn’t my E and Little Sis scrub up beautifully! If you want to attend the next OZEating event click here for info. | 8. Family birthday celebrations for my Nanna at Blackbird Restaurant in East Perth. This Pimms Cup was the perfect heat refresher. I can see myself loving on Pimms this Summer. 9. Spotted this beautiful mystery strung up amongst the poles and posts at a building site at work. It really was a little bit of loveliness amongst the rubble. Kinda wish I knew who put it there! | 10. Finally checked out Holly Raye’s in Bassendean – how gorgeous is the Anya Brock art on the building? More on this cafe here. | 11. Finally embraced the sunrise and sampled the newest trend to hit Perth with my friend L, Bendy Breakfast! Think yoga and meditation followed by a delicious healthy brekky. The program is running every weekend at Aliment Cafe in West Leederville (weather pending) until Christmas. Check out their Instagram for all the details. | 12. If you see only one movie over the Christmas period, make it The Belier Family. Such a gorgeous feel good French flick filled with laughs, tears and beautiful music. Thanks to Anarchy PR for the experience and tasty French treats. The film is released December 26 at Cinema Paradiso in Northbridge. 1. Candles make the perfect stocking filler – more here. 2. There really is another side to fashion blogging – more here. 3. Brunching on the weekends is mandatory – more here. 4. Change is better than a holiday (even fashion wise) – more here. EATING: Tasty brunch eats at Kettle Cafe. LOVING: Playing along with multiple fashion challenges on Instagram with my fellow bloggers. Check it out here. I have been listening to THE WEEKEND too ! Wild hairdo. Best part of summer is Christmas with my people. Really T? Hahaha some of those lyrics are a bit crude for you!